I’m guilty of loading up my children’s plates, believing the more they eat, the more energy they will have and the better they will sleep. This kind of thinking is somewhat misguided, and can actually be harmful to children’s relationship with food. 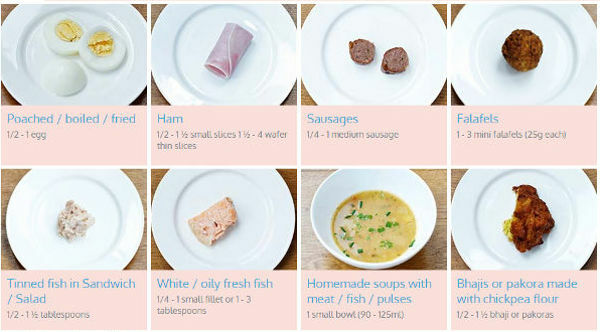 Come and have a look at this really clever visual guide on portion control for young children, and hear what a dietitian has to say about children’s eating habits. 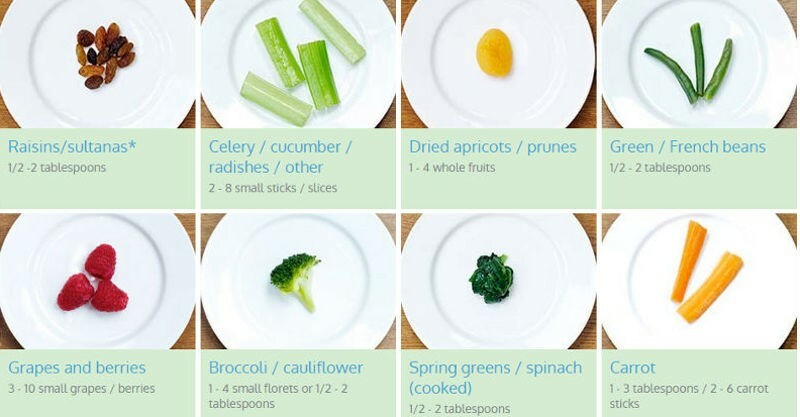 What does a toddler portion size look like? While we’re told children need to eat from the five food groups each day, it can be difficult to gauge just how much to serve up. 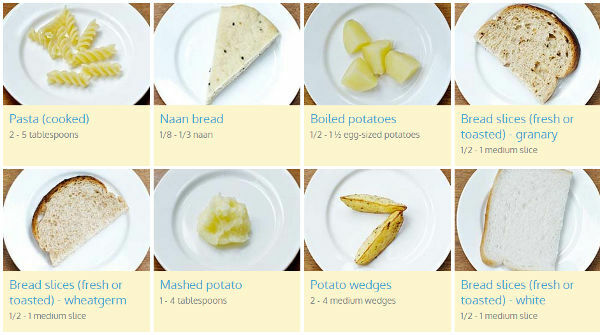 Infant & Toddler Forum has come up with a handy visual guide that makes it easy to work out, at a glance, how much of each food your child should be served. For instance, do you have any idea what two to five tablespoons of pasta looks like? 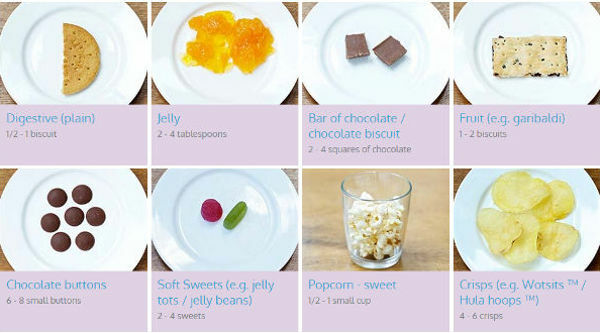 Just click through the guide, and you’ll find a photograph with a serving amount appropriate for a one to four-year-old. It even includes portions for treats, like popcorn and lollies. How much does a toddler really need to eat? Judy More, a dietician and Infant & Toddler Forum member, says knowing portion sizes for toddlers can reduce the anxiety that we may feel when trying to feed our children, because we often expect them to eat more than they need. “How much toddlers eat varies widely from day to day and meal to meal, so parents and carers shouldn’t worry if some days their toddler eats less than on other days. Our advice provides portion size ranges rather than specific amounts, to address the fluctuating appetites of growing children. If children eat within the range on average over a couple of weeks then they will be getting the nutrients they need,” Judy tells Babyology. It’s important we pay attention to our children’s portion sizes, and it can play a big role in their future eating habits. “Some children tend to overeat and can become overweight or obese. How much these children eat depends on how much is put on their plates. When parents offer children portion sizes that are too large the children become used to eating larger portions than they need,” Judy explains. 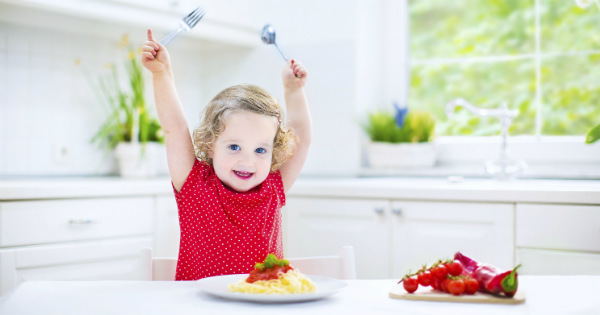 How much food should your toddler or preschooler eat? Offering different foods is also recommended, to help create a solid food foundation. Australian Dietary Guidelines say children who are not overweight, but are taller or more active may need extra energy. That means they may need extra serves from the five food groups or unsaturated spreads and oils. According to the Guidelines, “Childhood is a time of learning. Children who grow up in families that enjoy a variety of nutritious foods from the five food groups are more likely to make their own healthy choices as they get older”. If mealtimes are a battle at your place, have a look at our 14 tips to make family mealtime a breeze.